Preserve a lifetime of memories for future generations with our easy and affordable photo, slide, and negative scanning services. Our team of professionals will protect your photos from aging by scanning them into digital format, preserving them on archival DVDs, ensuring your family can enjoy them for generations to come. 8GB USB thumb drive add on available. Learn more! Want to try ScanMyPhotos for free? Try our 100 free scan offer. Whether you have 35mm, APS, or 120mm negatives, our technicians will hand scan each negative, make adjustments for optimum color and density, and save your family’s memories and milestones for future generations. Learn more! We will carefully hand scan and adjust each slide to provide you with the best possible quality, allowing you to start enjoying and sharing those many happy memories within a few short weeks.Learn more! ScanMyPhotos.com began in 1990 as a boutique retail photo center called 30 Minute Photos Etc., headquartered in Irvine, California. Today, the company and its digital imaging retail photo center also operates a nationwide and international photo scanning service which regularly makes national news for our leadership, entrepreneurial innovations and super-fast service. The company fought Visa and MasterCard for seven years to help reach a $7.2-billion settlement over credit card transaction fees. Cnet Senior Managing Editor Kent German recommended ScanMyPhotos in a recent article, stating “the entire experience, from the customer service to speed with which my photos were returned, was top-notch and only took a week." ScanMyPhotos.com was featured two months in a row in Shutterbug Magazine. Erin Doland, Editor-in-Chief of Unclutterer.com recommended ScanMyPhotos' service for digitizing all your photos in bins and draws in Real Simple Magazine. Cnet also recommended ScanMyPhotos as a great way to avoid the giant headache of scanning old photos yourself, by stating "consider outsourcing your photo scanning to a professional, paid service. For example, Scanmyphotos.com scans, crops, edits, and archives your photos". Reporter Gregg Ellman too noted "I recently tested a company called ScanMyPhotos.com and I wish I had found them sooner." ScanMyPhotos.com was also featured on USA Today to discuss our great way of preserving your digital memories, as well as a great way to start off the new year. 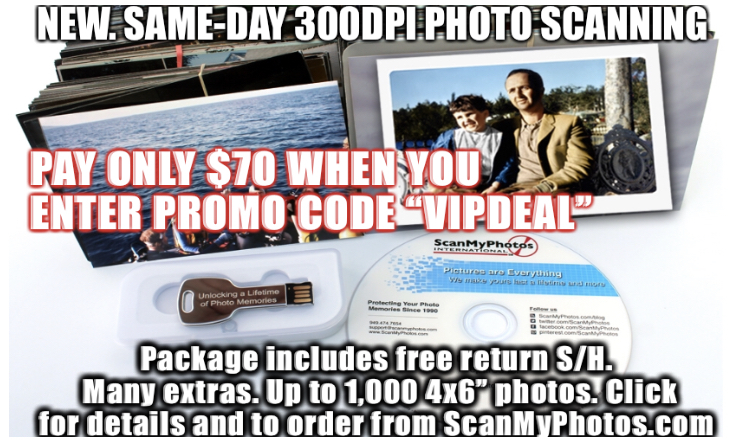 Years ago, the ScanMyPhotos.com division commercialized a new type of super-fast Kodak photo scanning technology to safely digitize and preserve millions of photo snapshots and now offers that same low, price, high speed bulk scanning for businesses. 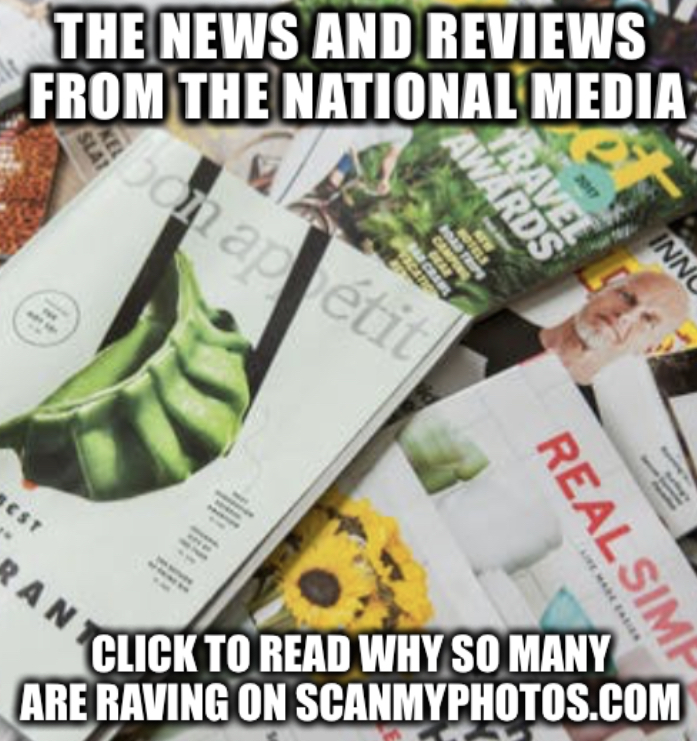 Also, recently The Los Angeles Times said: "The easiest part of the equation was organizing and packing up a box of photos for a return trip to ScanMyPhotos." The Chicago Tribune wrote, "When it comes to rescuing photos before they fade any further, ScanMyPhotos is a white knight." For affordable bulk scans, ScanMyPhotos.com is an old standby," said the New York Times. 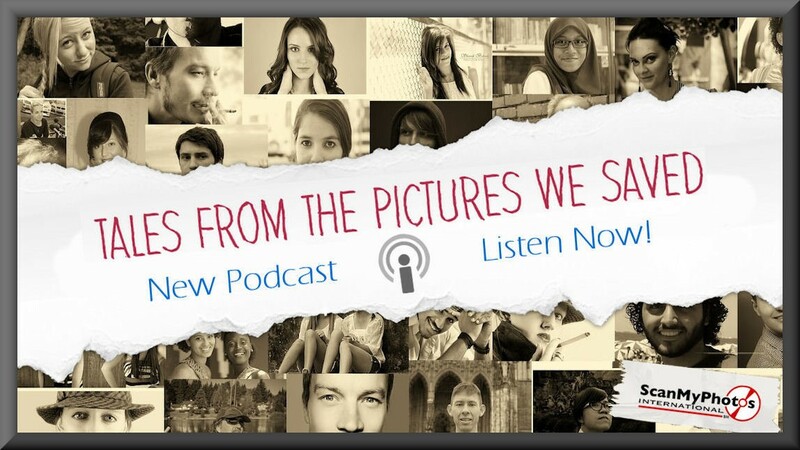 Most recently, Tech Crunch said ScanMyPhotos.com "is one of the coolest services in the world."